Home > News > Product Knowledge > How to solve the fault of impact crusher? How to solve the fault of impact crusher? Due to its large crushing force and high crushing rate, the impact crusher is widely used in highways, reservoirs, high-speed railways, airports, buildings, mines and so on. 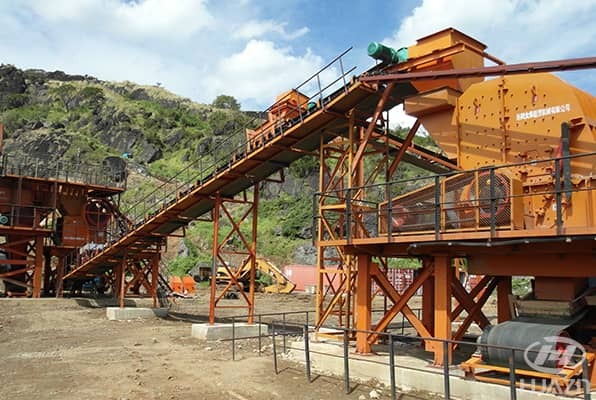 However, in the operation process, there are more or less faults of the impact crusher, affecting the normal operation of the equipment, how to solve these faults? Fault: The large block of steel enters into the machine. Solution: Stop and clean the steel block. 2. Vibrating quantity is suddenly increasing. Reason: When replacing or assembling the plate hammer, the rotor does not detect whether it is in dynamic balance or is disturbed by other non-breakable sundries. Solution: Reinstall hammer plate and calibrate rotor. Fasten foundation bolt and bearing base bolt. Check the tightness of liner plate and the clearance between plates. 3. The temperature of the bearing is too high. Fault: The lubrication grease is too much or not enough;the lubrication is too dirty that cause the bearing unbalance; the bearing is broken.. Solution: Check whether the lubrication grease is enough or not. The volume of grease should cover 50% of bearing base volume. Clean the bearing and change the lubrication grease. or change bearing. Reason: Because of the worse abrasion of liner plat and hammer, the clearance between them is big. Both side of impact frame is blocked that the impact frame can not drop down. Solution: Adjust the clearance between front and back impact frame or replace the liner plate and hammer. Adjust the position of impact frame to make the clearance between frame side and frame liner plate evenly. Replace the liner plate if needed. Fault: The large stress of liner plate makes the bolt breaking. Solution: Stop the machine and replace bolt in time. Previous Article：What kind of rock crusher is better?